Quinta Las Acacias is a 4.5* adult only resort located in Guanajuato, Mexico. It features 16 rooms. 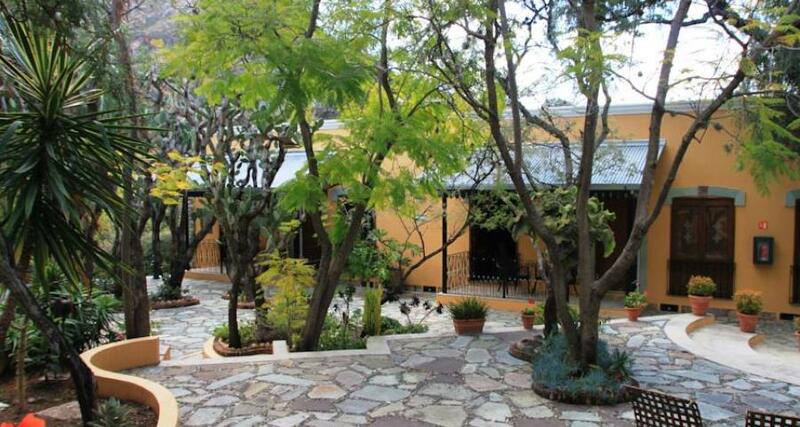 Quinta Las Acacias is housed in an old mansion with French-style architecture that dates back to the 19th century. This property has been restored and converted into a magnificent luxury hotel that blends elegance and comfort with quality services and warm hospitality. This hotel evokes the peaceful and tranquil atmosphere of old Mexico. Quinta Las Acacias will transport you to a time when attention to detail made all the difference. This hotel in Guanajuato is recognized for its high standards of quality and excellent service by AAA with four Diamonds and the Tesoros de Mexico (Treasures of Mexico) club, among others.